The use of Liquefied Petroleum Gas (LPG) has increased significantly over the past few years due to the availability of cost-effective and reliable LPGas-powered appliances. LPG is used in both commercial and domestic settings, mainly for cooking, water heating, and space heating. The use of LPG powered appliances has become a trend in South Africa as the need for alternative energy sources increase. The colder months are obviously the peak season for these appliances – especially the space heaters. LPG is kept under pressure as a liquid and when released it becomes a highly flammable gas which is heavier than air. Therefore, when appliance safety guidelines are not closely followed, it can be potentially harmful. Before LPG equipment can be used properly, it has to be installed properly. Consumers should never attempt to install LPG equipment themselves. Amateur installations have caused numerous accidents in the past, such as fires and gas leakages, which can be hazardous. As per South African law, only a registered Gas practitioner may install gas appliances or equipment. A comprehensive list of registered installers is available on: www.saqccgas.co.za where practitioners can be located by town/suburb. Always read and follow the manufacturer’s guidelines carefully. Always turn your heater off at the cylinder valve before going to bed or leaving the room or your property – in fact, at any time when the heater is not in use. Ensure all the components of your unit are well maintained e.g. the heater, regulator, hose and hose connections. When changing the cylinder, first close the cylinder valve and then remove the regulator. Always check that the rubber “O-ring” (washer) on the end of the regulator is not worn, brittle or damaged in any way. Replace it if it is. Test any gas appliance or heater for possible leaks by spraying a soap-water solution on all connections. Leaks will show in the form of bubbles and must be repaired immediately. Do not use aerosols or flammable, cleaning liquids or sprays close to the heater. Avoid sitting or standing too close to your heater– a safe distance would be approximately 1 metre. Always ensure that the room in use is ventilated so that there is a continuous supply of fresh air (oxygen). Ensure that your heater is positioned away from any flammable materials and is not blocking any escape route. Never place clothes or other items on or near your heater. Do not move your unit while it is in use. Educate children on the safe use of gas appliances and never leave them without supervision in a room where an appliance is located. If you suspect a gas leak, turn off the gas cylinder immediately and, if possible, take the heater outside. Only use LP gas appliances that are permitted to be sold in South Africa. 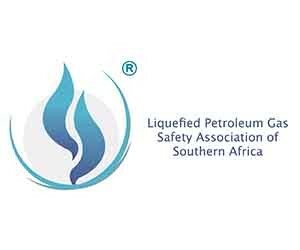 A complete list is available on www.lpgas.co.za. Click on the ‘Safety’ button and then on ‘Find a Safe Appliance’. In order to receive maximum benefits from the efficiency of LPG appliances, it is important to ensure that all safety guidelines are closely followed. This will, in turn, warrant reliable and efficient energy supply.